Alternative Apparel: ONLINE SALE up to 75% Off! Amazon: Check the Todays' Deals section for amazing savings. Ann Taylor: 40% Off pants and shorts. Use CODE: BOTTOMSUP. Ann Taylor Loft: 50% Off Tees, Shorts and Pants. No Code Needed. ASOS: 20% Off dresses. No Code Needed. Banana Republic: 40% Off Modern Takes on Classic Styles. Bandier: End of Season Sale Extra 25% Off Sale. Use CODE: JULY17. Barneys New York: Sale up to 75% Off for Women, Men, Kids and the Home. Receive and EXTRA 20% Off on ALL SALE STYLES. Barneys Warehouse: Summer Nights Sale. Up to 85% Off Sale. Extra 40% Off Select Items. Benefit Cosmetics: Get Your Tan On Summer Samples. For a limited time, enjoy FREE deluxe samples of dew the hoola and hoola zero tanlines, plus a travel beauty pouch with your $75 order. b-glowing: Up to 75% Off select items. Bloomingdale's: Save 25-50% Off select items. Take 25% Off when you use your Bloomingdale's credit card. Chico's: Semi-Annual Sale up to 70% Off Select Styles. Cole Haan: Clearance Sale up to 64% Off. Crate & Barrel: 20% Off bedding, mattresses and box springs. Also clearance items throughout the website. Finish Line: Hundreds of new markdowns up to 40% Off. H&M: Further reductions up to 80% Off online and in store. INTERMIX: Flash Sale up to 75% Off when you take an extra 40% Off! J.C. Penney: Up to 30% Off select Use Code: 24FORYOU (Ends 7/16). J. Crew Factory: Extra 50% Off Sale Use CODE: SUPERCLEAR (Ends 7/16). Kate Somerville: Complimentary Summer Care Treats with any $120.00 purchase. Lord & Taylor: Up to 20% Off. Use CODE: JULY (Ends 7/19). MacKenzie-Childs: Up to 50% Off Select. No code needed. Macy's: Up to 25% Off Select. Use CODE: JULY (Ends 7/17). MICHAEL KORS: Summer Sale Up to 50% Off (Ends July 31). Moda Operandi: Up to 75% Off. No code needed. Mystheresa: Up to 70% Off sale. No code needed. Neiman Marcus: Extra 20% Off Sale. Use CODE: NMSALEONSALE17 (Ends 7/31). 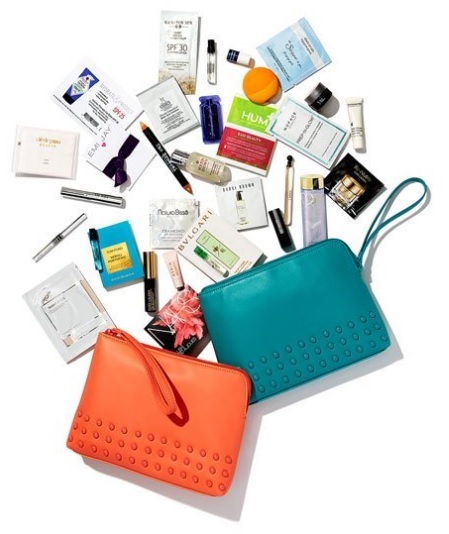 Neiman Marcus Beauty Event: Receive a gift with purchase when you spend $225+ in beauty and fragrance online! Use CODE: NMSUMMER. Offer valid 7/14-7/21. NINE WEST: Up to 40% Off select. No code needed (Ends 7/17). NM Last Call: Extra 30-50% Off EVERYTHING. 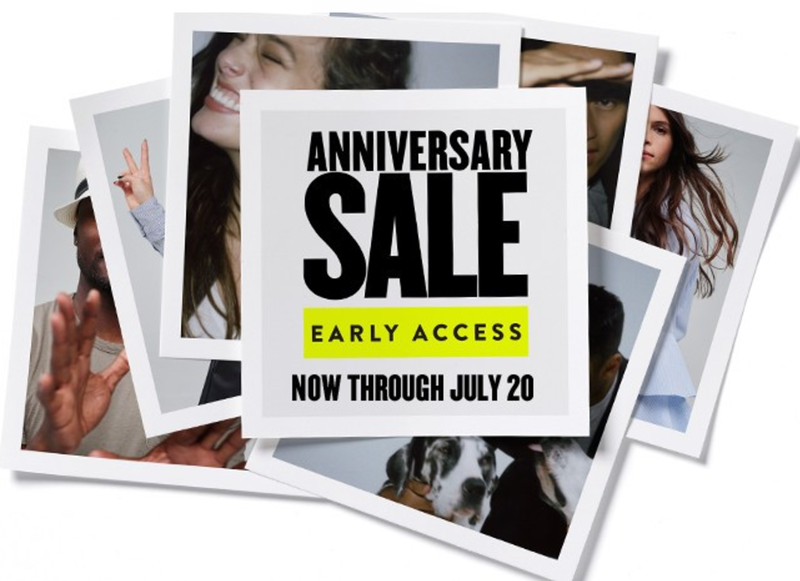 Nordstrom: Anniversary Sale: Beauty Sales, Women's Sale, Men's Sale, Trend Sale, Kid's Sale & Home Sale! Early Access to Anniversary Sale began July 13. Paula's Choice: 15% Off Antioxidant Serums No Code needed (Ends 7/17). Free shipping on $50.00 orders. Pottery Barn: Up to 60% Off Outdoor. No Code Necessary. Ralph Lauren: Extra 40% Off Select Use CODE: SUM40 (Ends 7/19). Soludos: $25.00 Off Select. Use CODE: MARYMATSON. Space NK: Up to 75% Off Sale!!!! Online Only. Spend $150.00 and enjoy $25.00 Off or Spend $250.00 and Receive $50.00 Off. Sur La Table: Summer Sale and Clearance up to 75% Off. The Body Shop: Online Exclusive up to 30% Off hundreds of items. Tibi: Extra 15% Off Sale. Use CODE: ENDOFSALE (Ends 7/27). Urban Outfitters: Summer Sale Up to 70% Off All Select Sale Items. West Elm: Up to 40% Off Select. No code necessary. Williams Sonoma: Summer Clearance Sale Up to 75% Off. Take an EXTRA 25% Off. Zadig & Voltaire Paris: Up to 60% Off select styles.